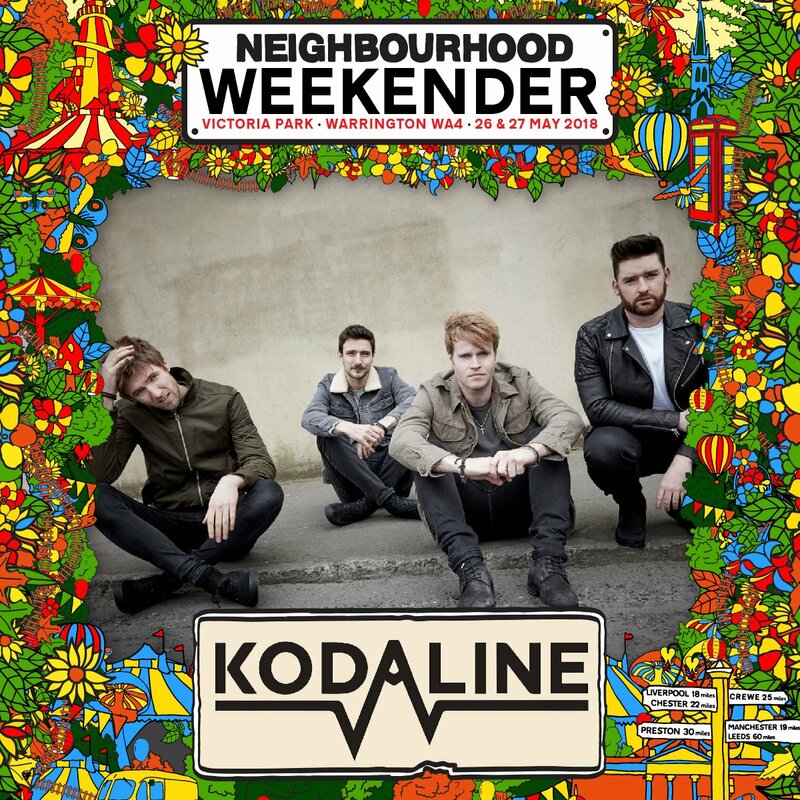 November saw the first wave of bands announced for the Neighbourhood Weekender, which is taking place at Victoria Park on 26 & 27th May 2018. Amongst the acts announced for the bank holiday weekender Festival were Courteeners, Starsailor, Reverend and the Makers, Miles Kane and The Sherlocks. What many would not realise is for a town often overlooked as a touring location, all of the above have previously performed in the town (some several times), and that there is many more on the line up with ties to Warrington. [WAM] editor, Lee, takes you through some of the artists and where you may know them from. The huge name closing Day one of Neighbourhood Weekender (NBHDWKNDR, where even the abbreviation is massive), is Manchester’s loved sons, Courteeners. After selling out of all 50,000 tickets for their Lancashire Cricket Club’s Old Trafford ground gig last May (which also saw Blossoms and Cabbage perform), there is no doubt that they will have something special in store for the Warrington crowd. It is possible that their appearance will reflect on the 10 year anniversary of their debut album ‘St Jude’. With the album reissued, alongside an unplugged version of the album, they are playing a special anniversary show at Manchester Arena on the 7th April. Not surprising from their Manchester roots, the band has often played at the Parr Hall through their history, the latest coming just 15 months ago as a surprise appearance at the Viola Beach memorial concert (2nd April 2016). 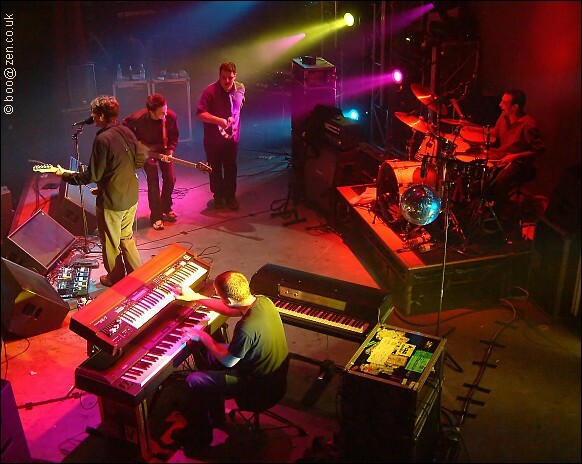 The band made their first appearance 18th January 2008, before the release of their debut album, when the Warrington Guardian said the hype was justified. They would soon return the next year on 9th December 2009. The post-Britpop band, formed in 2000, and have kept the same line up since their formation which included Warrington born bassist James ‘Stel’ Stelfox and drummer Ben Byrne. After forming the band at Wigan and Leigh Music School, the band has released five studio albums, and have scored ten Top 40 hit singles in the UK. As expected they’ve played their hometown several times over the years, including a 5th October 2007 gig comprised two halves; an acoustic set with frontman James Walsh on his own, followed by a full-on electric set with the whole band to spread awareness for the Fairtrade mark. The foursome made their first gig since reforming in 2014 in front of about 30,000 people at the Isle of Wight Festival, and the future looks bright for the band in 2018. Since then the band has played Warrington twice, once at the Parr Hall on 18th December 2014 (with Blossoms supporting), which followed a special Acoustic performance by frontman James in the Lizard Inc Records store on Legh Street and again as Warrington Festival headliners on 17th September 2016. But did you know the band, also played the Parr Hall in 2002 for a Charity Show with none other than Peter Kay appearing on the stage who went on to tell a few jokes before playing percussion during the encore? 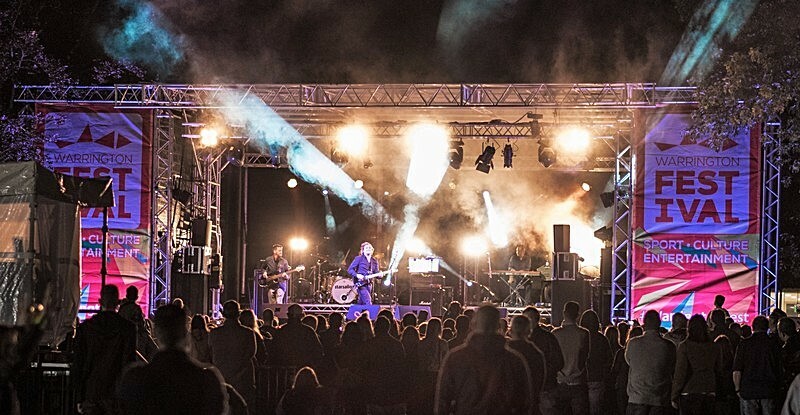 Another recent Festival headliner in the town centre is Reverend and the Makers, who headlined Warrington Music Festival at the Old Fish Market on Sunday 28th May 2016, alongside The Lightning Seeds. But it isn’t the first time that Reverend and the Makers have played Warrington, selling out the Parr Hall back on 25th February 2008. According to a gig review in the Warrington Guardian, it is said “They thrilled a sold-out Parr Hall with an energetic set that ended with a surprise acoustic set in Queen’s Gardens opposite…The lead singer, or The Reverend’ to his fans, kept the audience entertained with political rhymes in between songs. [After the main set] The crowd assembled in Queen’s Gardens where the Reverend played songs, including his own Miss Brown, an Oasis hit and I shot the Sheriff. The fans didn’t even seem to mind the rain. For many of the bands, the Weekender will mean travelling up the day before or an early morning journey up the motorway, but the bands Monitor/FOH Engineers, Callum Bate, who has been travelling around the world with the Stockport five-piece, it is a show he can walk up to. Blossoms will always have ties to the town, after taking Viola Beach on tour with them, a tour that the four-piece and manager, Craig Tarry was not able to finish due to their untimely loss in Sweden. 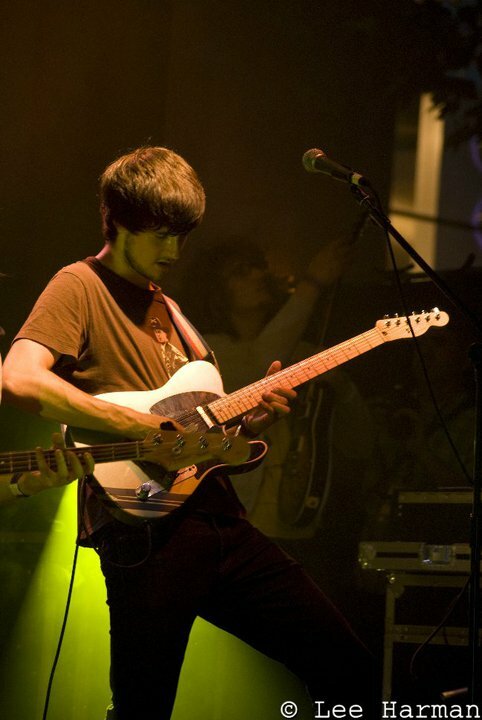 They would show their respects to Viola Beach at the memorial night alongside friends and family, performing an acoustic set alongside Courteeners. With their debut album reaching number #1, a rare feat for a rock band, 2018 could be a very special year for the band who will no doubt have new music to play. Parr Hall was also the venue for Miles Kane; the Birkenhead born indie star of The Rascals and co-frontman of Last Shadow Puppets who played an “intimate warm up show” on Friday, August 17th, 2012, ahead of a much anticipated V Festival slot. The venue was once again part of a headline tour on Friday, 17th March, 2014, ending with a support slot at the Arctic Monkey’s Finsbury Park show on May 23rd and 24th. Perhaps with good friends in Arctic’s releasing new music next year, Miles may bring on a special guest? Fast rising Indie Rock band, The Sherlocks which consists of two sets of brothers, Kiaran and Brandon Crook and Andy and Josh Davidson, have had a year to remember and 2018 looks to be even better. Their biggest headline tour is taking place in the spring, with their 16th February show at Victoria Warehouse, Manchester not one to miss! They have trodden a well-worn path of playing bars and clubs across the country and that includes an early appearance at Friars Court (Barbauld St) in 2013. Like many on the list The Coral played their part in the musical upbringing of Viola Beach, appearing at the Parr Hall for the celebration of the band. It was a long awaited return for the band who last played the venue on the 16th December 2003. The Coral formed 20 years ago when Ian Skelly and Paul Duffy began jamming together in a pub in Hoylake. They were joined by Ian’s older brother James on vocals and main songwriting duties as well as Warrington-born Bill Ryder-Jones and Lee Southall. They were all just teenagers at the time. We teased this question a few days ago, about a couple of the announced bands who will be making their first appearance in Warrington at the Festival, but have a member who has already played in the town. Anyone? Formed in Swords, Dublin and originally known as 21 Demands, the band we now know as Kodaline were completed by bassist Jason Boland in January 2012. Originally from Celbridge, County Kildare, the multi-instrumentalist was originally part of Irish Pop-Punk band, Jody Has A Hitlist, who played their only show in the town, as part of Warrington Music Festival 2010 on Sunday 18th July. Leaving the band to pursue a career in production, the lure of joining the band clearly was too much and as they say, the rest is history. We also have the two new members of Noel Gallagher’s High Flying Birds, Chris Sharrock and Gem Archer, making a return to the town, after previously playing With Beady Eye in 2012, with tickets allocated via a lottery on the bands website. Also playing on the Saturday at NBHDWKNDR, is Spring King who were due to play RivFest in 2017, but were a late pull out due to members of the bands suffering ill effects from being involved in a car accident. They are a four-piece English alternative rock band from Macclesfield, who played at SXSW in 2015. Beginning as a solo project in 2012 of songwriter and producer Tarek Musa, who also sings and plays drums, their track “City“, was the first song played on Beats 1 by Zane Lowe when the online radio station launched in 2015.
Who are you looking forward to seeing at Neighbourhood Weekender? Do let us on on Facebook or Twitter. Did you know we celebrate #5YearsOfWAM on March 16th at the Parr Hall? The Festival sold out in hours!